Hello everyone my gamertag is JohnRckr and I primarily race F1 and Project Cars. I have a new wheel coming and hope to be racing with it soon. See u guys on the track. Take a look around and see if any of our current series take your fancy. Main series are on the Sunday. Also keep an eye out for any fun event we will host mid week. 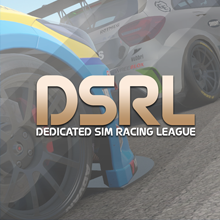 Stevielow hosts regular races on PCars every Wednesday.